How to sum up a nation that features a wildly diverse featuring people of Malay, Chinese, Hindu, and Muslim backgrounds? How to tightly describe a nation with a rich ancient history that leads into a complex present? How can a paragraph sum up a landscape that ventures from primeval jungles to ultra-modern skyscrapers? My small set of photos of Malaysia are only the best I can do to try to quickly encapsulate this Southeast-Asian nation, but my images are only a peek at its variety. 01. 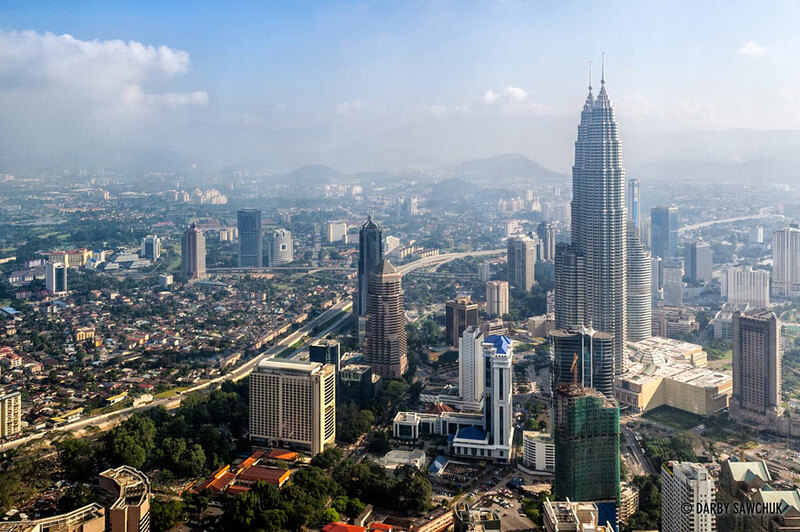 The Petronas Towers rising over the Kuala Lumpur skyline. 02. 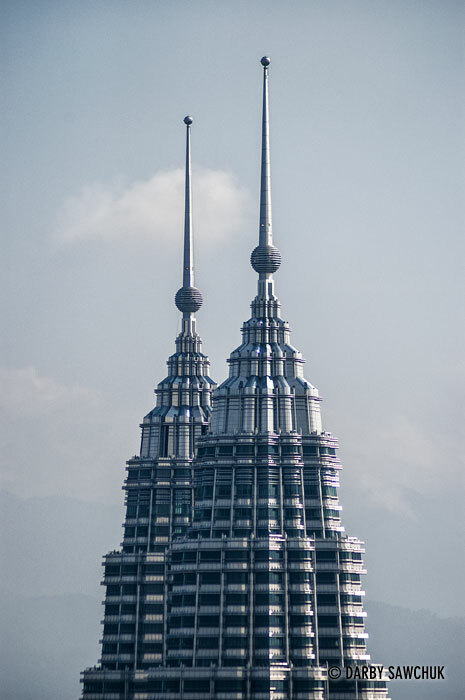 The Petronas Towers, the tallest twin towers in the world. 03. 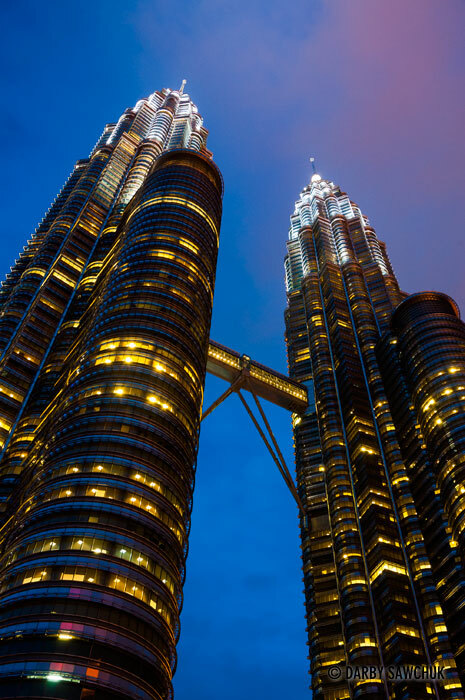 The peaks of the Petronas Towers in Kuala Lumpur Malaysia. 04. 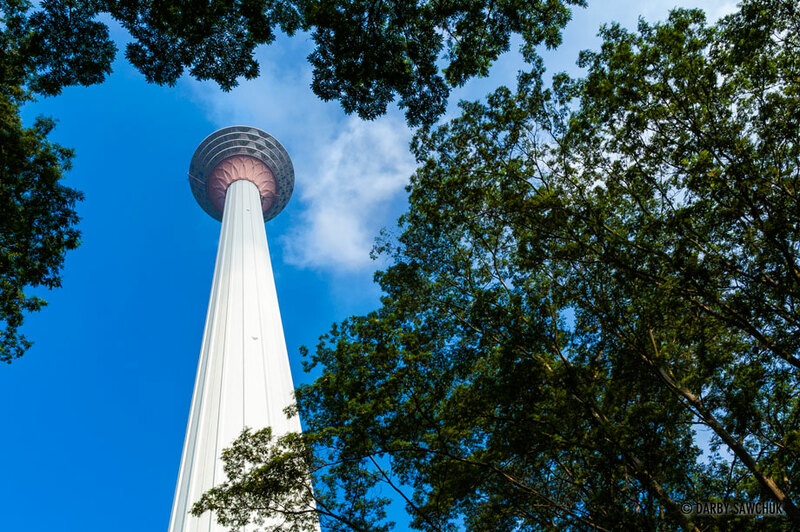 The Kuala Lumpur Tower viewed from below. 05. 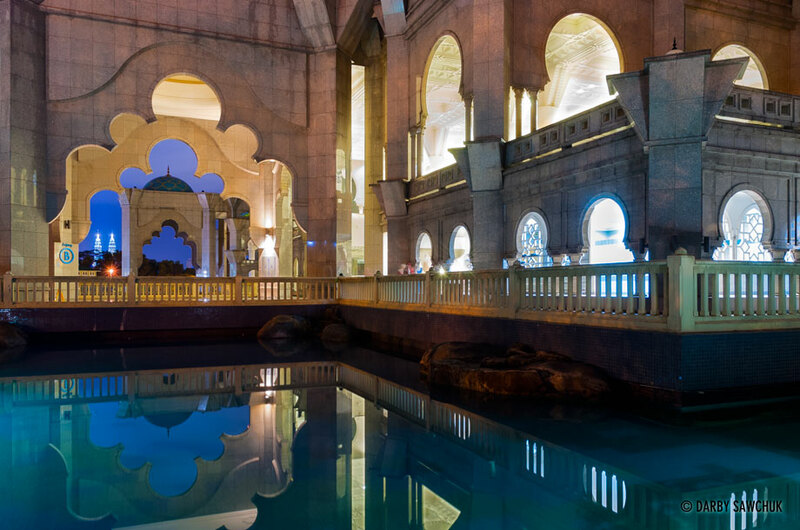 The Masjid Wilayah Persekutuan Mosque also known as the Federal Territory Mosque in Kuala Lumpur, Malaysia. 06. 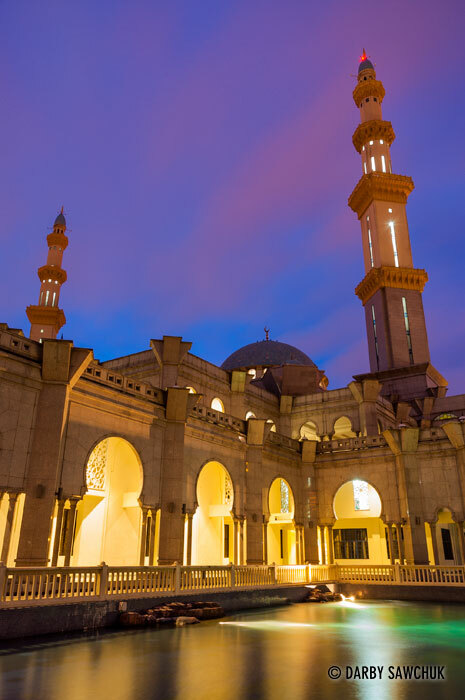 The Masjid Wilayah Persekutuan Mosque also known as the Federal Territory Mosque in Kuala Lumpur, Malaysia. 07. 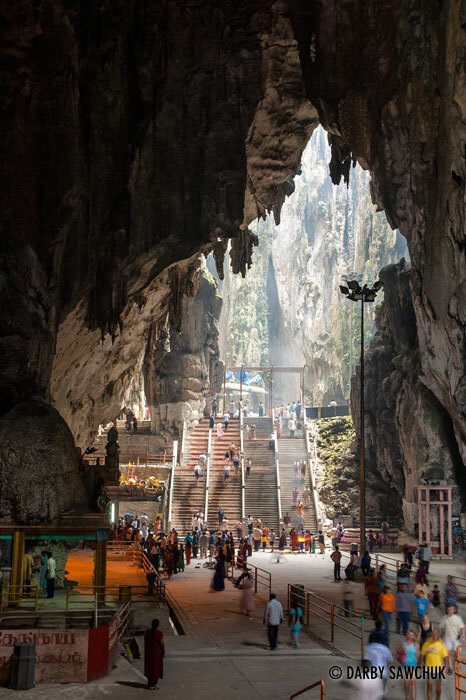 The enormous limestone formations of the Batu caves, a site of Hindu worship in Kuala Lumpur, Malaysia. 08. 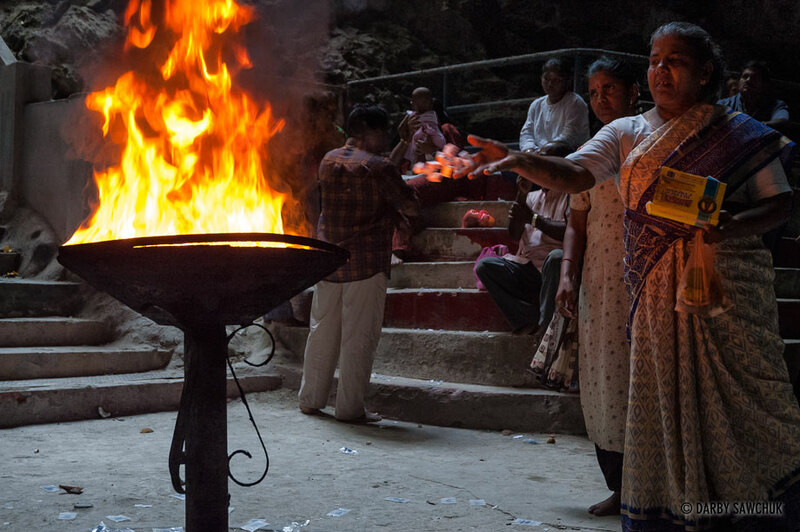 A Hindu makes an offering to a fire in the Batu Caves in KUala Lumpur, Malaysia. 09. 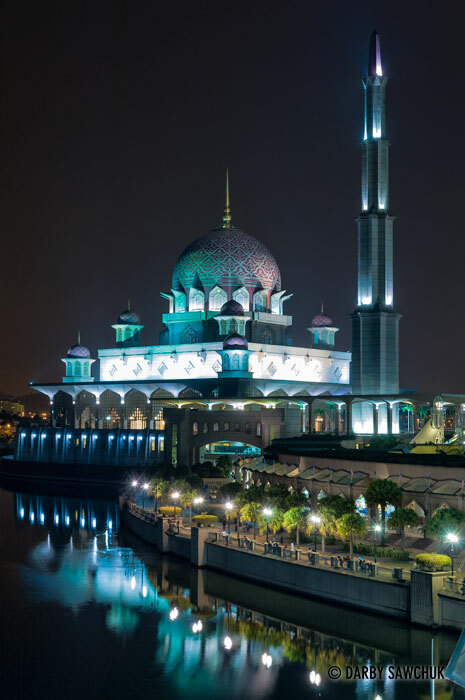 The Putra Mosque or Masjid Putra in Putrajaya, Malaysia. 10. 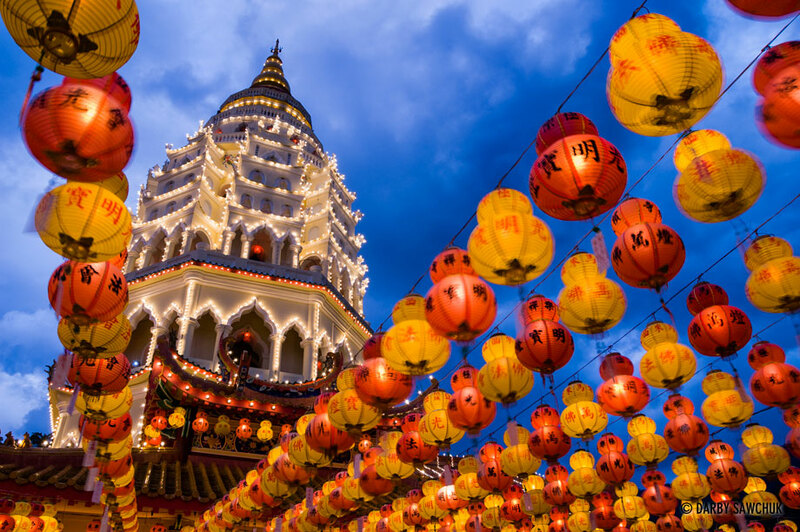 Paper lanterns light up Kek Lok Si Temple in Penang, the largest Buddhist temple in Southeast Asia. 11. 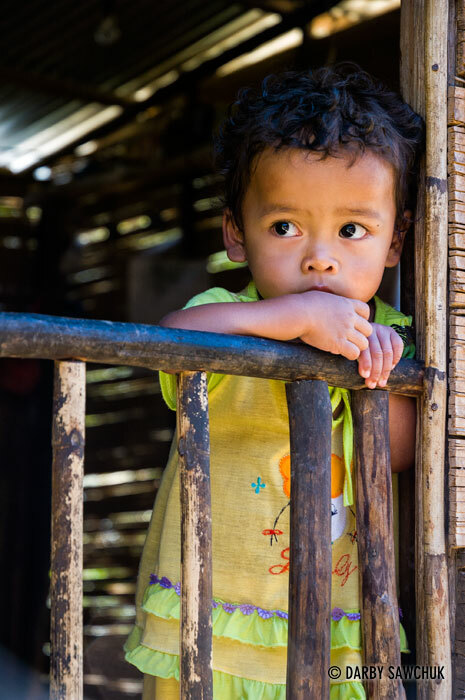 A young Orang Asli Child looks out from a hut in the Cameron Highlands in Malaysia. 12. 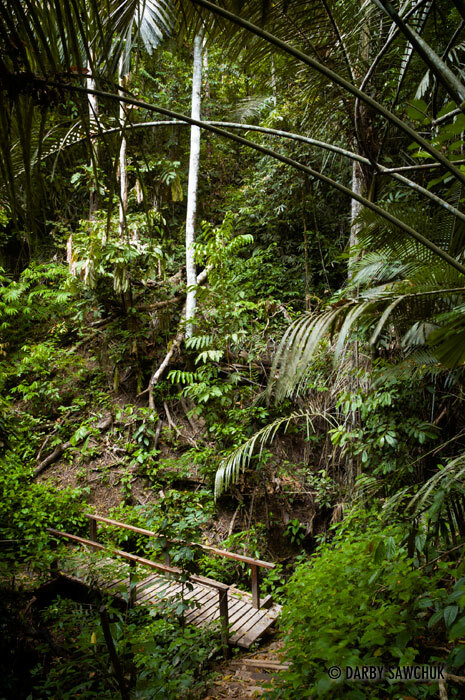 The jungle crowds around a small wooden bridge in Taman Negara National Park in Malaysia. 13. 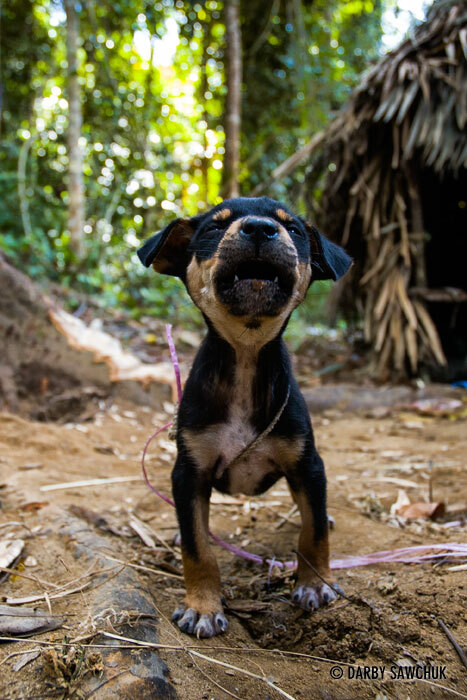 A puppy barks in an Orang Asli Village in the Tamen Negara rainforest in Malaysia. 14. 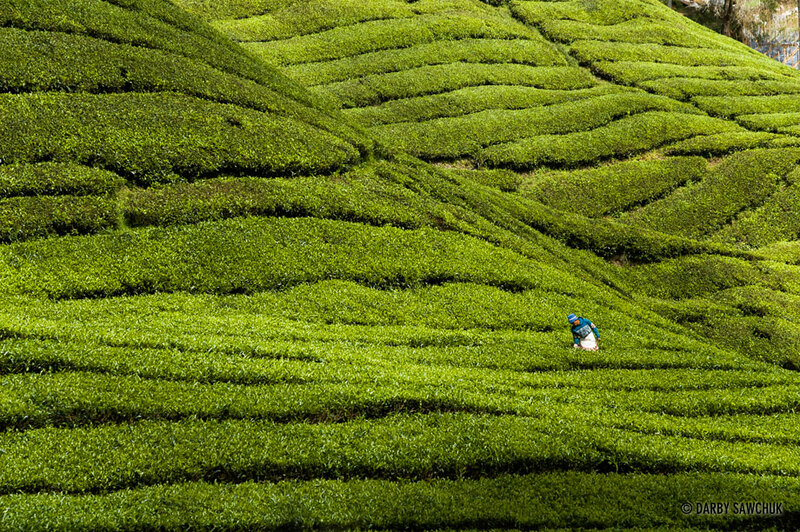 A farmer works in a field growing tea leaves in the Cameron Highlands in Malyasia. 15. 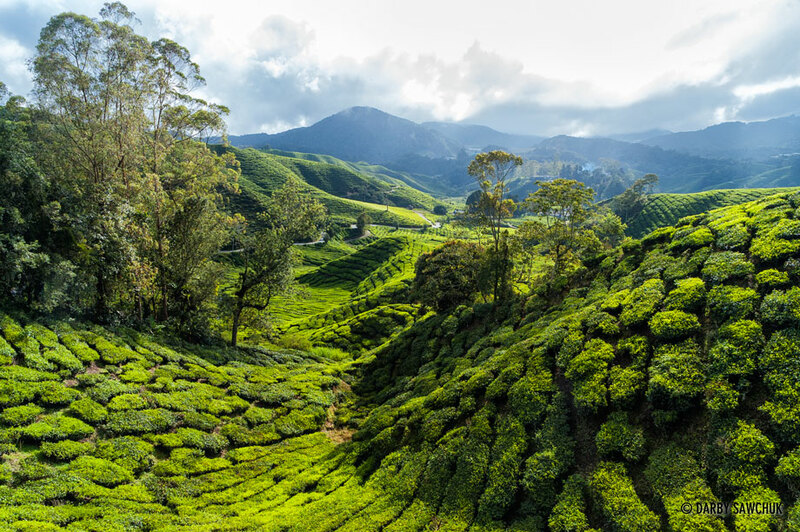 A tea plantation in the Cameron Highlands. Keywords: photos of malaysia, images of malaysia, pictures of malaysia, landscape photography, people photography, travel photography, architectural photography, fine art prints, stock photography.